How can an ordinary patient use data to assess if a doctor is a good fit for them? In this episode of Mastering Innovation on Sirius XM Channel 132, Business Radio Powered by The Wharton School, Wade Chambers, Chief Technology Officer and SVP of Engineering at Grand Rounds, discusses how data science can positively influence a patient’s medical outcomes by recommending an optimized set of medical services for them. It’s tough to find doctors who are in your local area, specialized for your needs, and compatible with your insurance. Grand Rounds sells coverage to companies and helps them reduce costs spent on medical benefits while connecting their employees with better care. Using data from their existing user base and from a network of top medical experts, they make personalized suggestions for which services to use and when. Chambers shared that even though they are a technology company with a digital product, they aim to deliver service with warmth and reliability. Employees at Grand Rounds strive to be the first to talk to a patient directly after they receive news about a medical condition. With quantitative backing and a human touch, they continue to grow and provide recommendations for millions of lives under their coverage. Harbir Singh: Tell us about Grand Rounds and what the value proposition is. Wade Chambers: One of the things that I’ve seen out there from talking to customers is that, if you are a large business, your number two expenditure behind wages is probably medical benefits for your employee base. If you want to try to improve the outcomes for your employee base or control costs, what levers do you have? That becomes an interesting thing. Really, how do you improve that? Grand Rounds uses data science to positively influence healthcare outcomes by understanding what’s the optimal route to the outcome that’s wanted, what are the optimal services that we need to add to help facilitate that outcome, and then very judicious use of data science to make sure that we understand all of the features that go into predicting those outcomes so that we can introduce it at the right inflection point. Singh: So this is very client-driven, right? The way the interface has been set up. You have the companies signing up, and then the employees who are covered. Tell me more about the use of data science to get better outcomes. Chambers: It is most generally sold to companies, although it is available [to individuals]. You can go to www.grandrounds.com and actually sign up. If you’re having an issue that is complex or needs some of the world’s best experts to weigh in on it, that’s a service that you can get through the website. We find that a lot of the companies that we do business with have signed up for the service for their employees because they find that they’re getting significantly better outcomes for their employees at a reduction in actual costs. As we do this at greater and greater scale, obviously, there should be operating efficiencies that we get, which should reduce, over time, the cost of doing these things. And we hope to make it more and more publicly available to everyone who needs it. Singh: The superior services at lower costs, what are the sources of that? Chambers: There’s a variety of different sources, some of them publicly available, some of them privately available. But it goes from everything that you would expect to be in there, from claims that come from a service being rendered to a patient, to eligibility data, to internal data that we’ve helped produce. It’s a very eclectic set of inputs. We’re constantly trying to make sure that we’re taking it from semi-structured to very deep, rich information to feed analytics and data science. Singh: In a way, it seems like the client can, through a more efficient search from your algorithms, get a combination of vendors and services that they may not have seen before. Is that one way of thinking about it? Chambers: It’s one way that we get data into the system. We’ve built a pretty vast network of the top percentage of experts in a lot of different fields. And so we’re able to leverage data from them, as well as observed data as we’ve had patients go through and handle life-threatening or very complex issues. We’ve had the ability to watch what the top end percent of physicians in that specialty area have done, and we’ve been able to learn from that and see the features of the patient that most closely map to that specific form of care and learn from it. We have millions of lives under coverage, and so the data set and the data size is becoming more and more meaningful as we move forward. That flywheel effect begins, and we’re able to learn from it and fold it back into the services that we provide, which means that, as we bring on more customers, we learn more, we’re able to apply it, and it just gets better over time. Singh: So you get some examples of better practice or better outcomes and it feeds into your database. How does it affect the choices that a customer or a client sees? I’m just trying to understand from a user point of view. Chambers: Certainly. It’s also important to know that when you interact with Grand Round, there’s two primary applications that you deal with. One deals with complex care and the other deals with clinical navigation. Both of those are based on an underlying data science and engineering platform that’s all around quality. And so the experience would be, let’s say you that you wanted to find a primary care physician that’s in your network. The fact that Grand Round knows your employer and knows a little bit of you and who your insurance provider is, that’s important for us as a starting point. They say, “It’s hard. Who’s the right person for me to talk to? You know, I look it up on Yelp, or I talk to my friends.” And the real thing behind that is, “Wow, that’s currently the state of the world.” And that you don’t even know where the physician that you’re going in and talking to is on a bell curve or whether they’re specific to the issues that you might have or something that’s constantly in your family, like hypertension, or diabetes, or things along those lines. The more that we know about you, the more that we can put you in touch with a quality physician. On the complex care side, we’ve got a whole population in a set of employees inside of the company that are physicians, registered nurses, patient care coordinators, medical records collection. On the complex care side, you want to know that somebody understands the specifics of you. We can go out and find the best in the world, if need be, to be able to get a second opinion on the problem that you have, and then translate it back into a form that allows you to make decisions based on that and actually carry it out, or maybe even find you somebody that can help you with the treatment plan. We can go find the best in the world, we can also find the best locally for you based on your network, and that’s all powered by data science. Wade oversees all aspects of engineering and technology innovation at Grand Rounds. 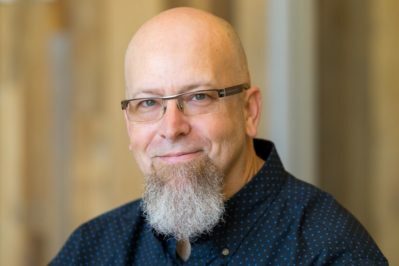 With more than 25 years of engineering leadership experience, he has deep technical domain expertise and a successful track record of scaling teams and leaders, market-defining technology innovations, and business growth for companies of all sizes including Twitter, TellApart, Yahoo, and Opsware. Before Silicon Valley, Wade served in the military and the White House Situation Room. You can find more at @WadeChambers.